Professor emeritus Stuart Rees AM will receive the inaugural 2018 Jerusalem (Al Quds) Peace Prize in recognition of his persistent and courageous advocacy for the human rights of all Palestinians living in Gaza, the West Bank, Israel, the refugee camps and the Palestinian diaspora generally. The prize will be awarded by former Foreign Minister and NSW State Premier the Hon Bob Carr at a dinner in Queen’s Hall at the Victorian State Parliament on the United Nations Day of Solidarity with the Palestinian People, Thursday 29 November 2018. It will also be an occasion to hear Professor Rees deliver the Jerusalem (Al Quds) Peace Prize lecture. Nasser Mashni, chair of Australians for Palestine and Board Member of the Australia-Palestine Advocacy Network, said the choice of Professor Rees will help highlight the undiminished fervour for resolution of the inalienable rights of the Palestinian people from a person who has dedicated his life to social justice around the world. Stuart Rees is a prominent Australian academic, author, poet and ethicist, whose life has almost totally revolved around human rights and conflict resolution. In 2005, he was awarded a Membership of the Order of Australia for service to international relations, particularly as Director of the Centre for Peace and Conflict Studies at the University of Sydney and through the establishment of the highly-regarded Sydney Peace Prize. Professor Rees was commended for the Jerusalem (Al Quds) Peace Prize for his scholarship and activism in pursuit of justice for the Palestinian people, his staunch commitment to the UN-declared international status of the city of Jerusalem since 1947 and his belief in peace with justice for the benefit of all peoples living in the Holy Land. 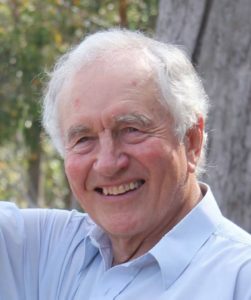 His numerous books, his several anthologies of poetry, and his willingness to write and speak publicly on social justice issues, have seen him described as one of the most humane voices in Australia today. “Those issues have driven his indomitable quest to find out what it really means to be human and to alert us all to our common humanity,” said Mr Mashni. Professor Rees said he felt “very honoured” to be recognised from amongst the many long-committed voices for Palestine in Australia. “This award comes at a time when Jerusalem is facing great challenges from influential global powers to its UN-protected international status, UN Security Council resolutions, international law and majority consensus. We cannot allow antagonistic voices to weaken the hopes of so many for a peaceful and sustainable solution,” he said. The Jerusalem (Al Quds) Peace Prize will be awarded annually by Australians for Palestine and the Australia-Palestine Advocacy Network. For interviews or comments please call Nasser Mashni.